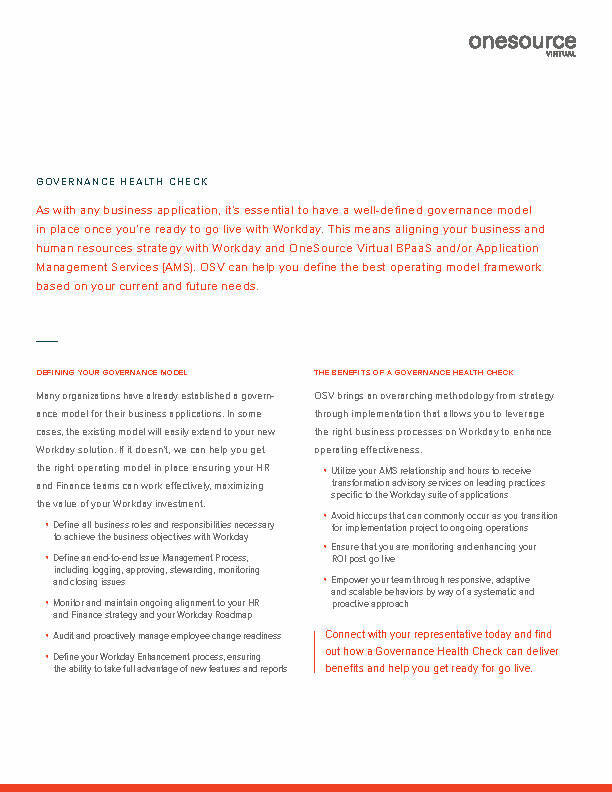 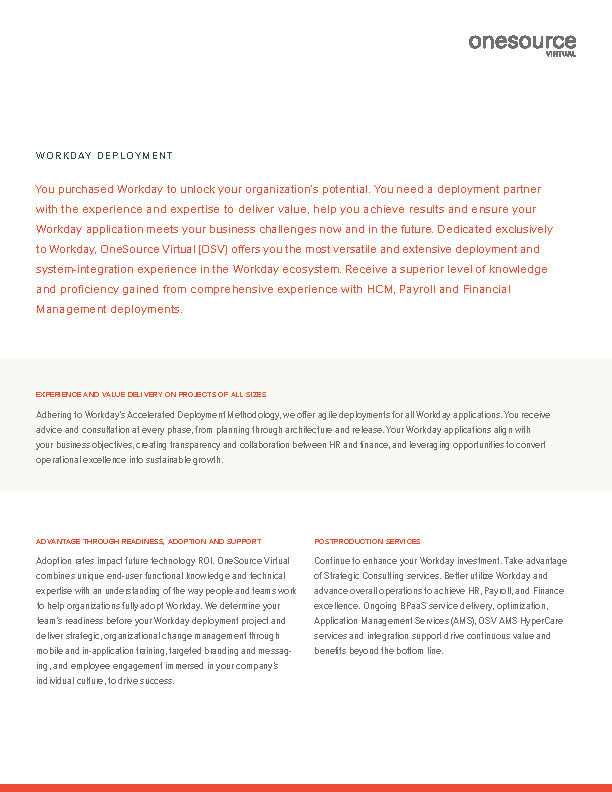 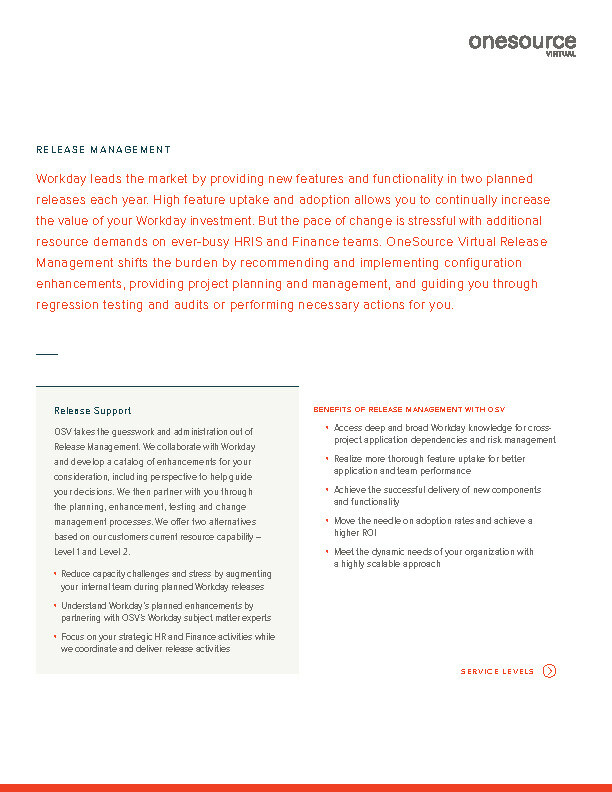 Gain the freedom to redeploy internal F&A resources into more strategic roles by leveraging Workday consultants to transform finance and accounting. 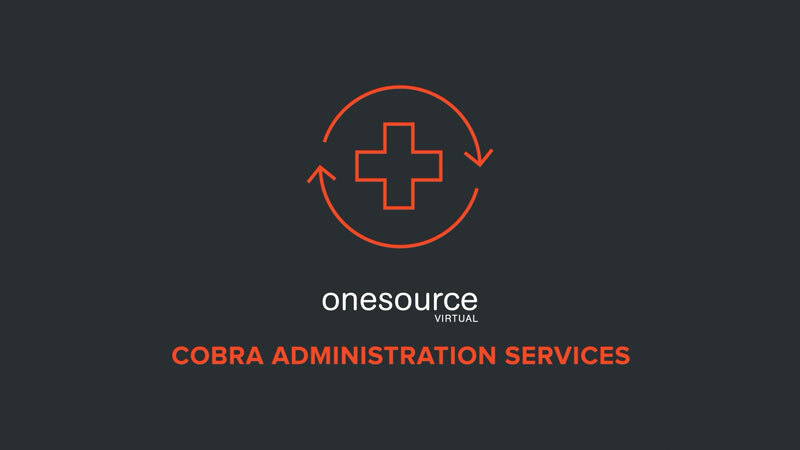 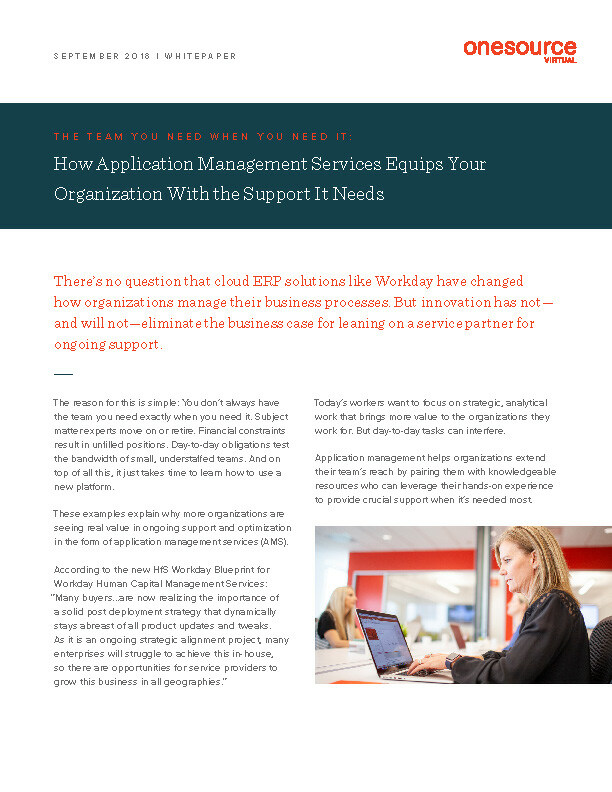 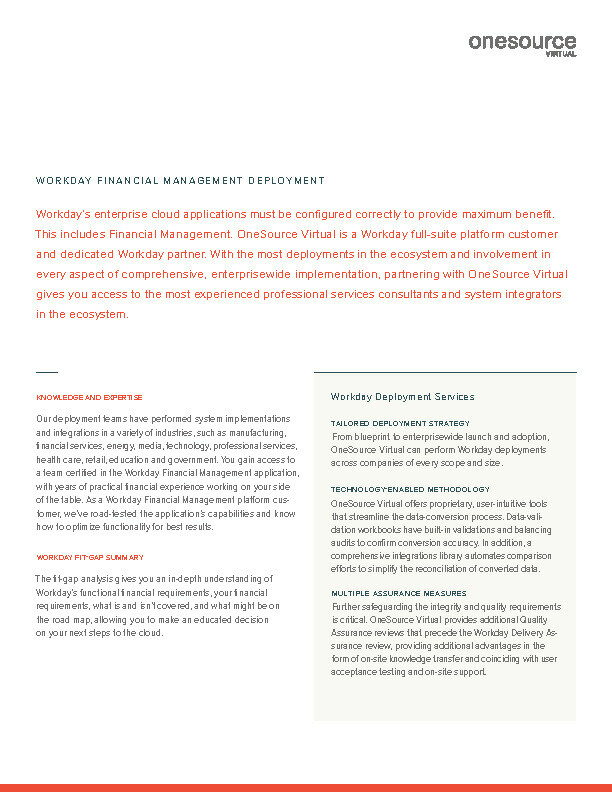 OneSource Virtual provides BPaaS services and comprehensive support for Workday Financial Management, from implementation to post-deployment. 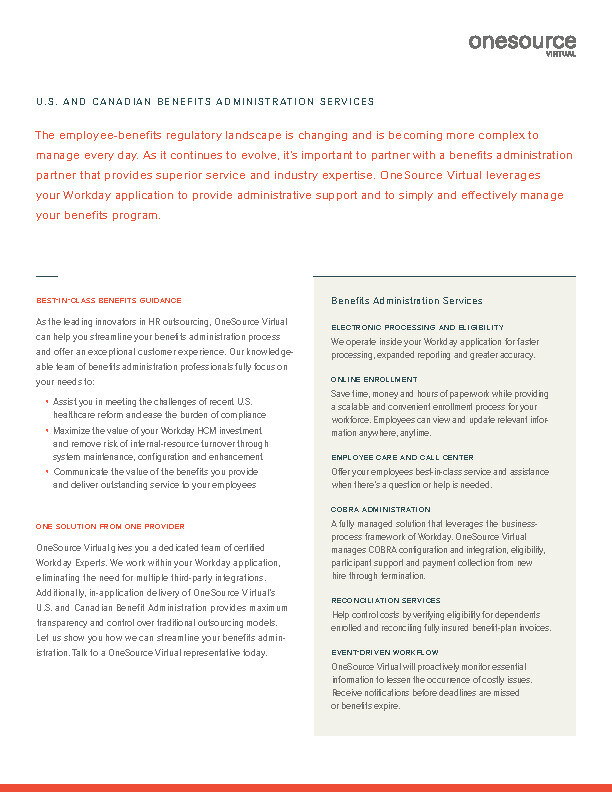 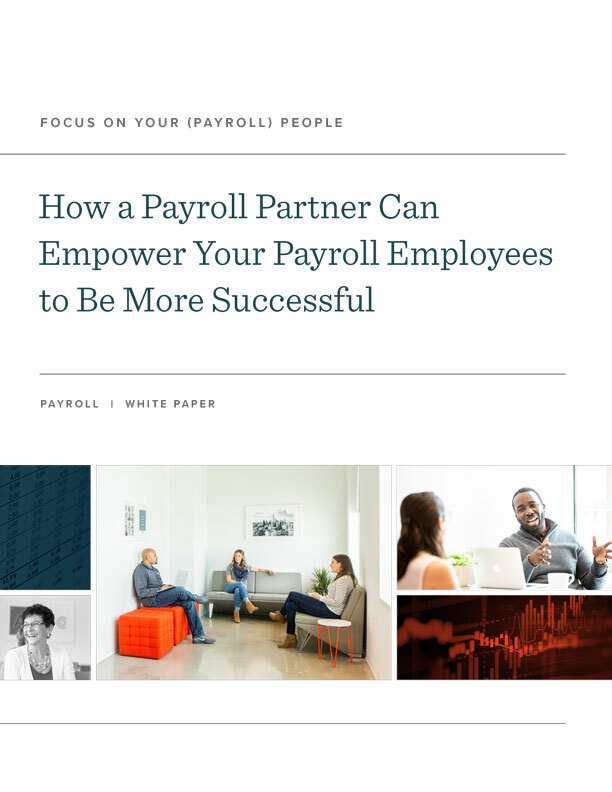 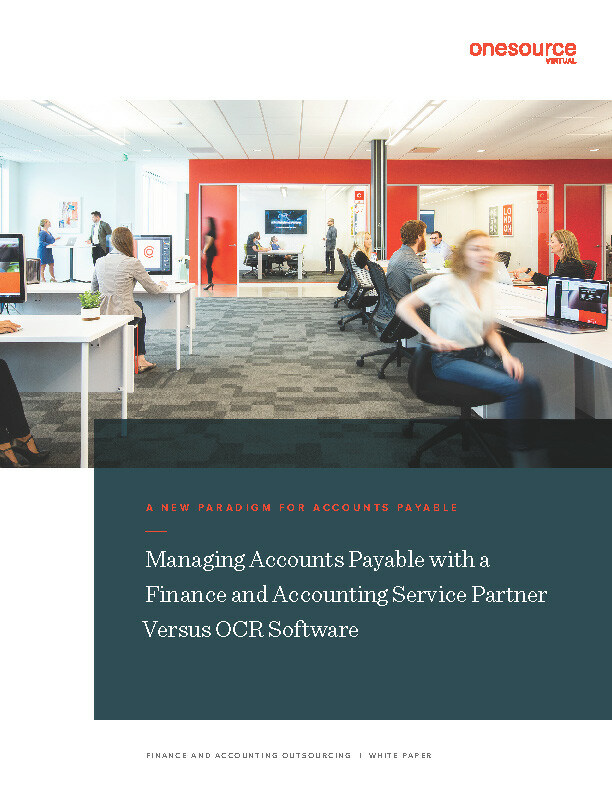 We utilize innovative technology to automate the routine administrative tasks behind accounts payable and accounts receivable, improve F&A accuracy with OCR-based invoice imaging, and deploy Workday’s Financial Management Application. 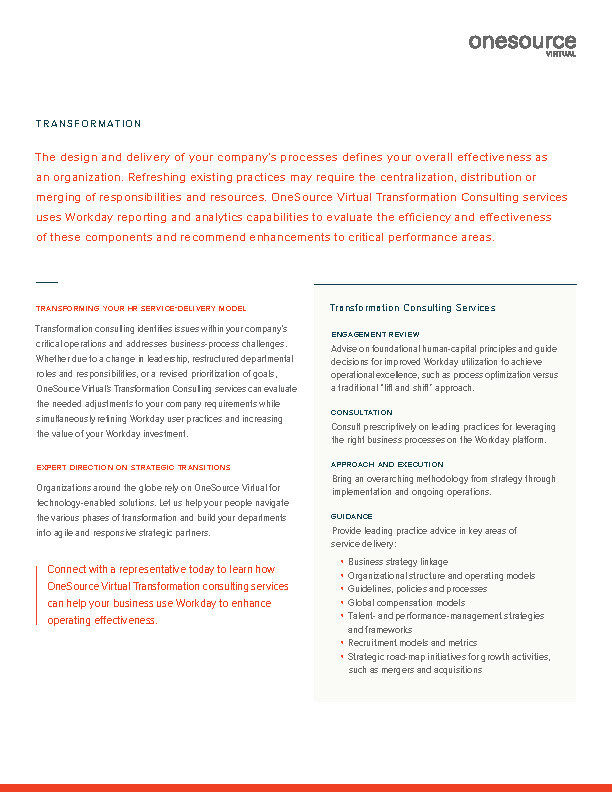 AP Automation improves the accuracy and efficiency of your AP processes by accelerating close cycles, streamlining procure to pay, and freeing your people to focus on more strategic activities. 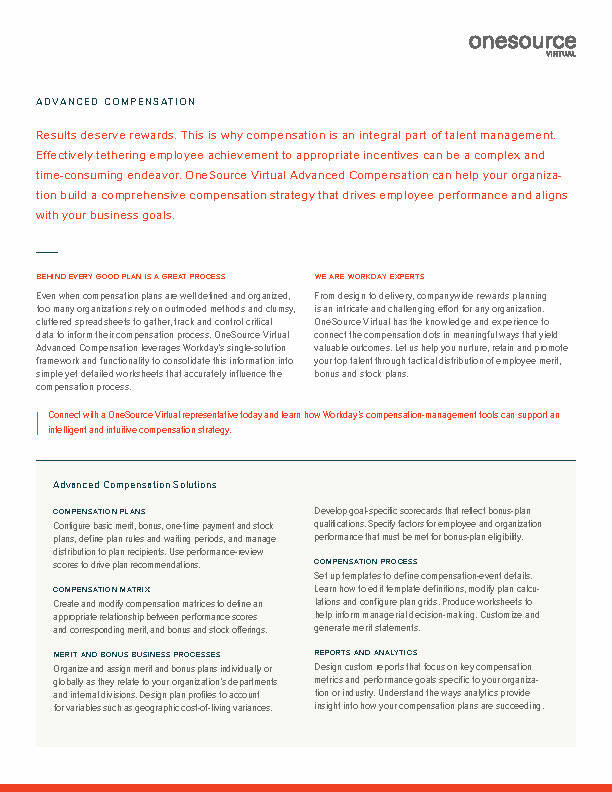 Help your organization gain real-time insight with advanced invoice imaging technology that delivers digital copies of scanned invoices directly to your Workday Financial Management application. 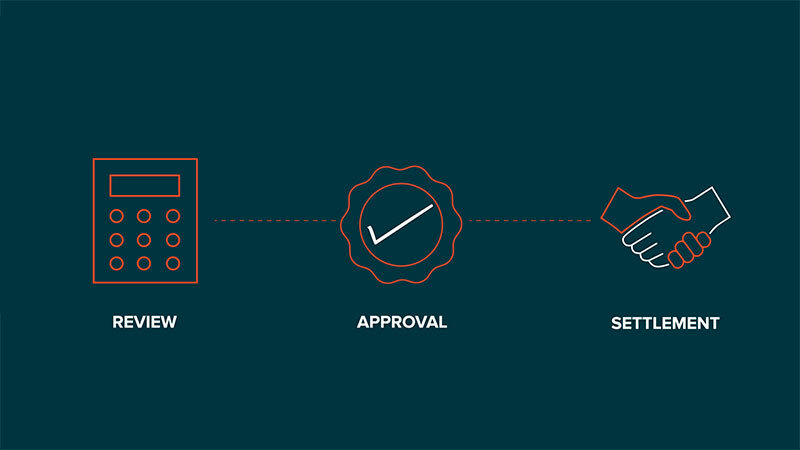 Check Printing and Fulfillment services provide a streamlined process using your bank account to pay, print and mail AP checks and handle Accounts Receivable invoicing. 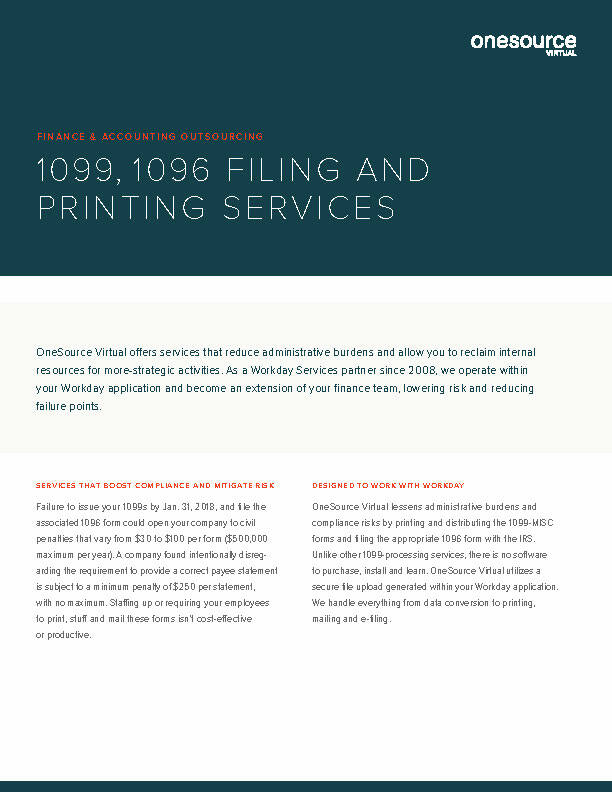 Reduce your administrative burdens and compliance risks by printing and distributing your 1099-MISC and electronically filing your Form 1096 with OSV. 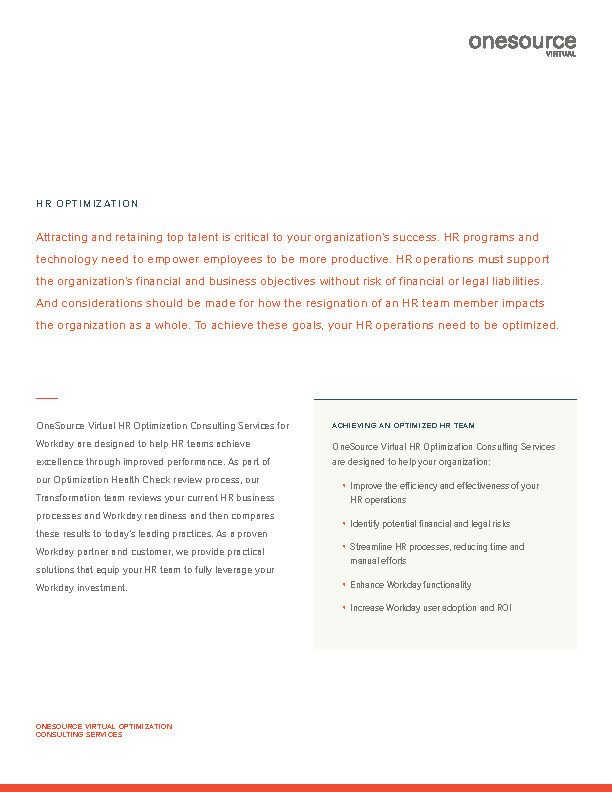 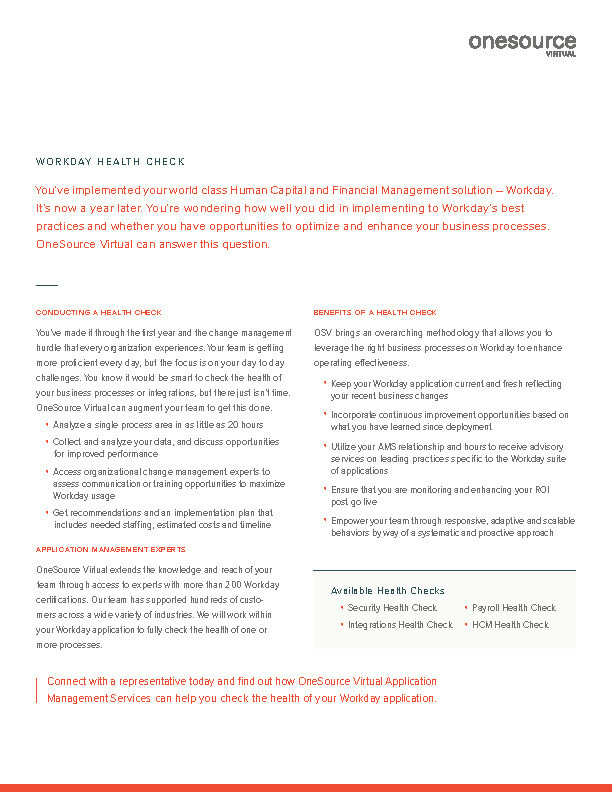 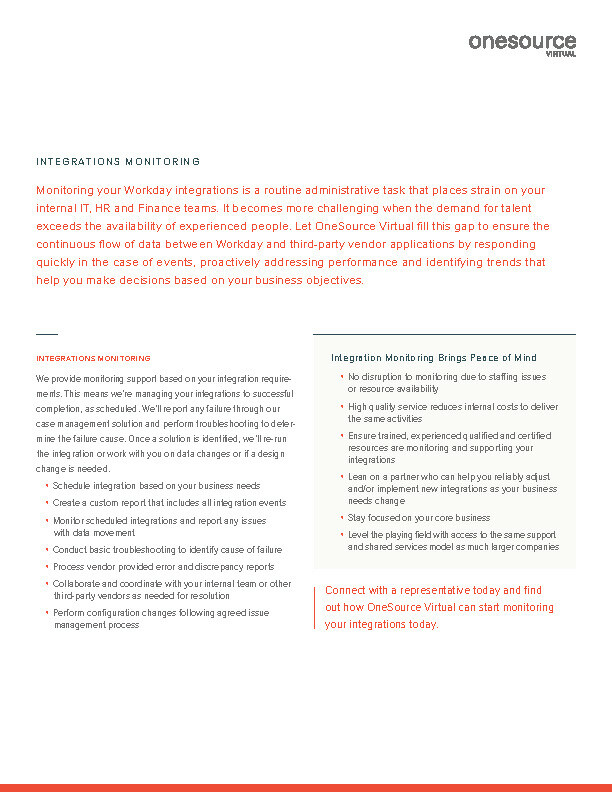 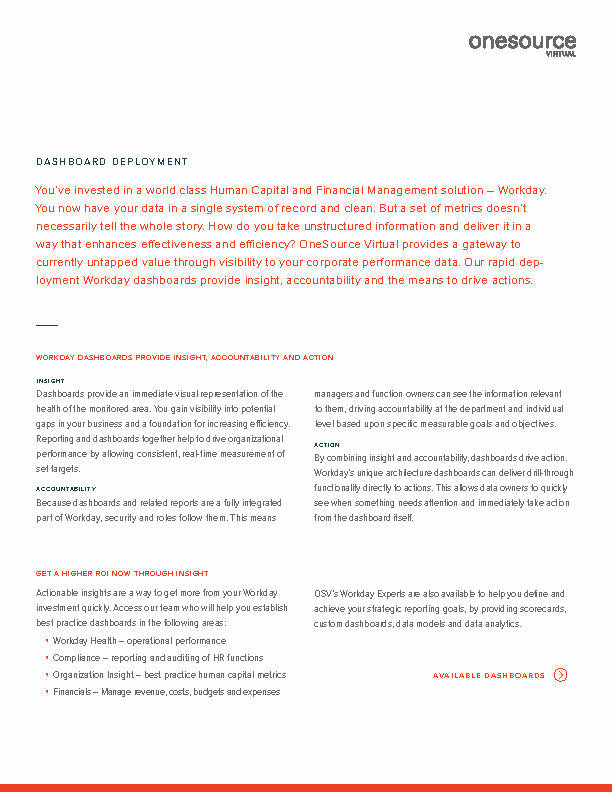 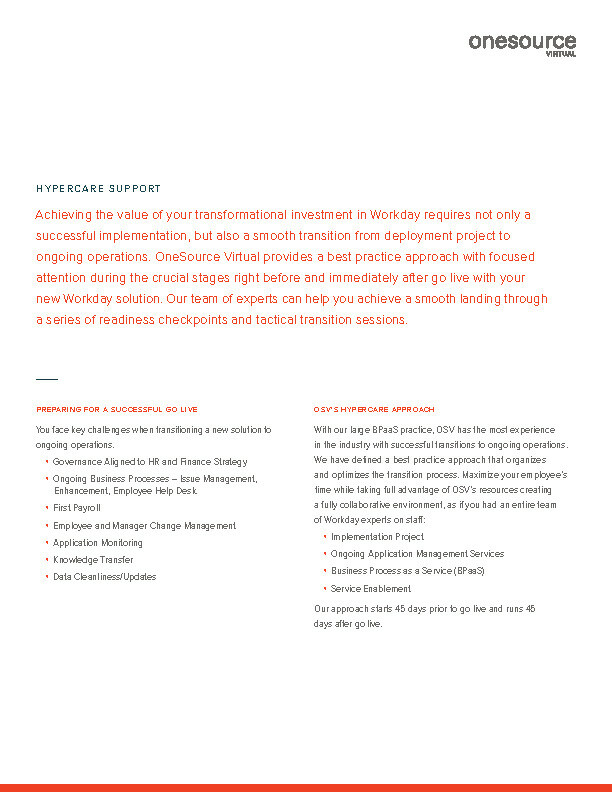 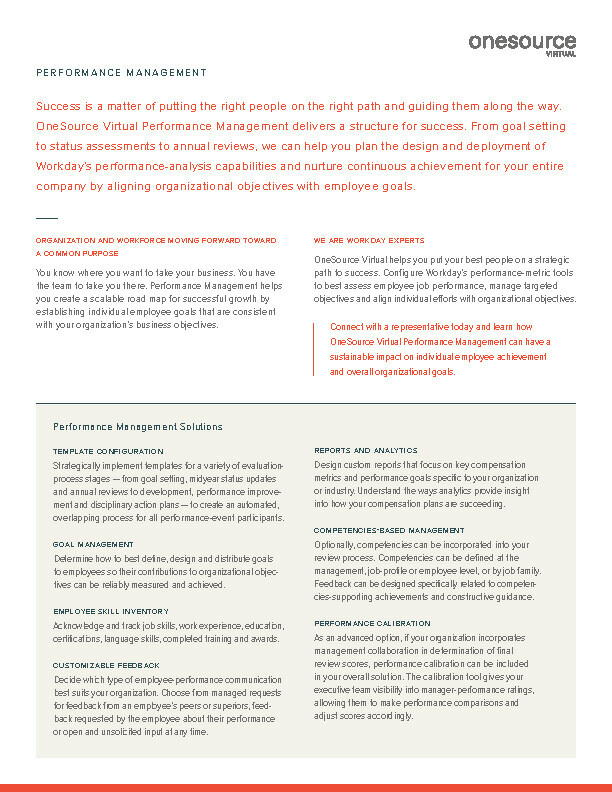 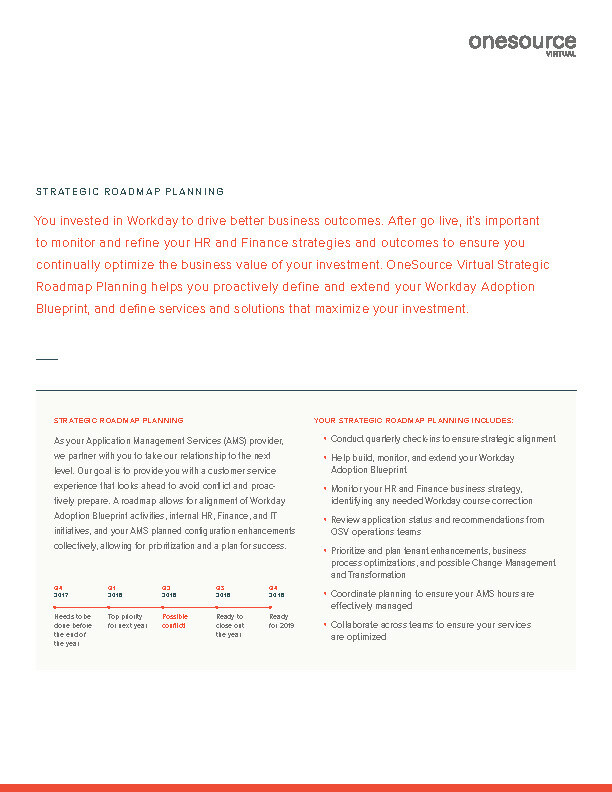 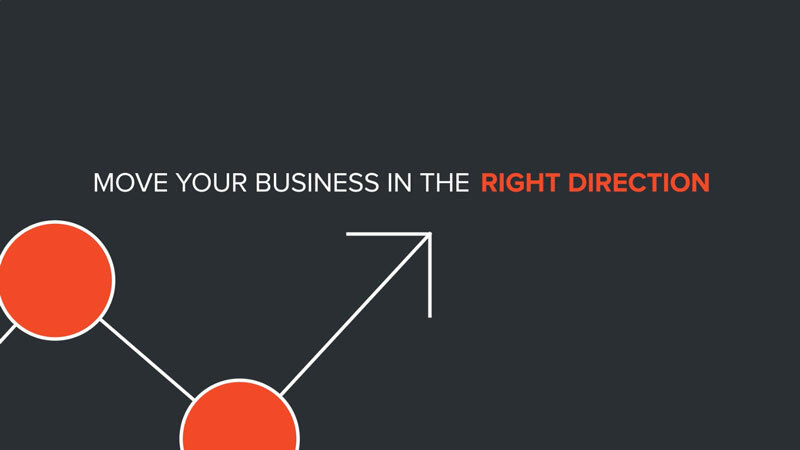 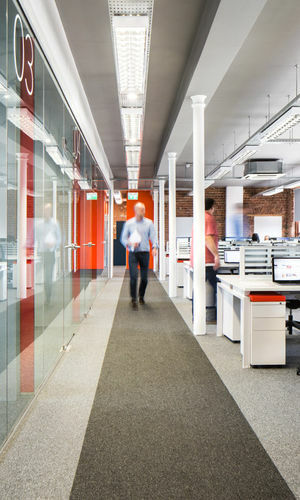 Put your Workday Financial Management implementation in the hands of one of the most experienced Workday service partners. 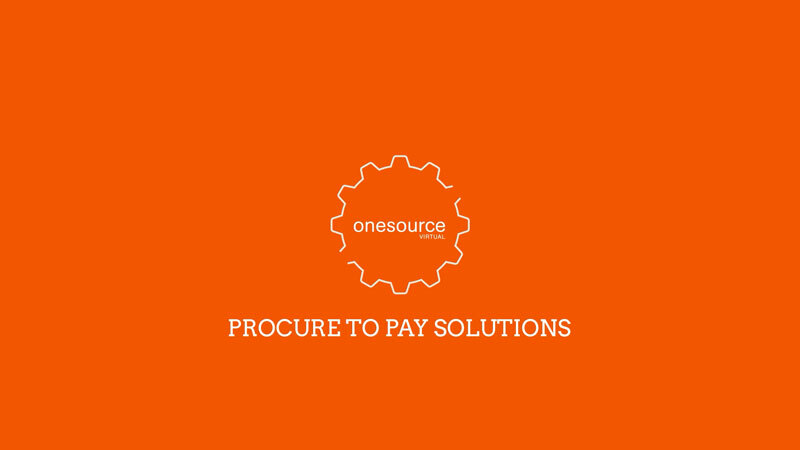 If you need more information about Financial Management or any of our services, please fill out our form and a OneSource Virtual representative will be in touch very soon. 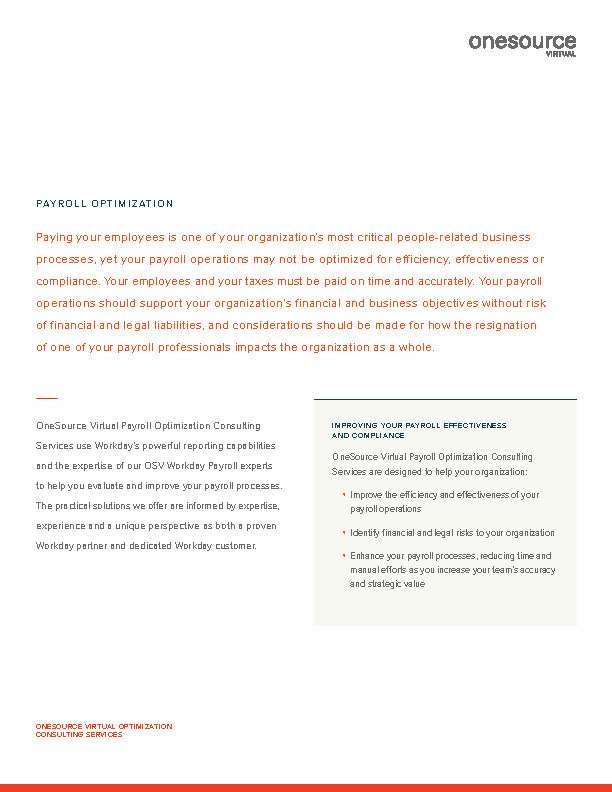 There are no resources at this time related to Financial Management. 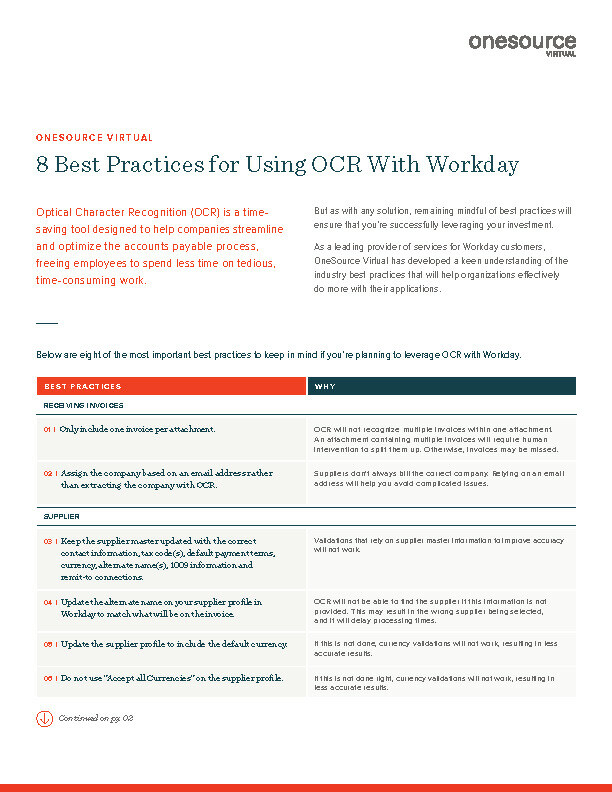 Please check our resource library for additional information.